Sounds familiar? Quit complaining. The guy who should complain is doing somersaults in his grave already. 1. I tried to squeeze face cream back into it’s tube this morning. I seriously don’t know what I was thinking. 2. There’s a wind chime (with Mickey Mouse, for cryin’ out loud) tied to the ceiling in my workplace. FYI, the room is completely air-conditioned, with only one main exit, one fire exit and no windows (or if you’re feeling exceptionally d’uh this morning, I mean to say that there is absolutely no wind or breeze or anything of that sort which would make the wind chime move). I want to be there when the chime chimes! 3. If you’re wondering how I tried to squeeze the face cream back in: stop it! We all have our moments. And if you know me personally, you’re forbidden to ask me about this. 4. I spent a good (no pun intended) 20 minutes this morning watching an exclusive interview with Jade Goody. Seems one of her aims is to scale the highest peak in the world and she couldn’t remember what it was called. She also thinks Mona Lisa was painted by a guy called Pistachio. O for the love of God!!! 5. If you read the above and don’t know who Jade Goody is, you’ve spent enough time in the jungle, catch the next flight back to civilization. 6. Shahrukh is awesome with the new KBC. I think it has a lot to do with the fact that he is not trying to be an Amitabh. Although, I did wish he was not one of those typical north indians who think all south indians live on idli sambhar. FYI, we’re also famous for Hyderabadi Biryani, Chettinad Chicken, Bisibela bath and Kappa-Meen Curry, not to mention the hazaar types of desserts and sweets. Just FYI. 7. Shahrukh cannot speak Telugu even if his life depended on it. Throwing together a couple of words ending with ‘ndu’ and ‘lu’ does not constitute Telugu. Even if you’re Shahrukh. 8. I tried answering one of those viewer questions – the SMS didn’t go through and I was too lazy to pick up the landline phone and try calling! So, that’s one genius who lost her chance to be on the show. Unfair life. And stupid phones! 9. I watched BBC for a while. Reminded me how news channels should be. What they do on the Indian News channels these days is nothing short of a circus. 10. Municipal elections are happening in Bombay, it seems. You would think the entire planet revolves around Bombay and not the sun. And only Bombay has a municipal corporation and only they have elections. I could write a book about Monday Blues. All I need is to pick up all my Monday-blog-posts and voila! I got myself my book! It’s got action, drama, poetry and violence (to my readers ofcourse, people have died reading about my blues). And the title would be something like ‘How she met a Monday, got kicked and became blue’ – sounds familiar? Blame the world wide web for all the awareness people have these days. After so many blog posts, how can you ever believe me if I say a Monday is not so bad after all. Just a mirage, a shadow that disappears with the fading light. For he who truly knows me cannot speak about me. For I’m not what you see, I’m much more and a lot less than that. I’m ever-changing, morphing into forms you cannot fathom. I’m not what you wish me to be. In the matter of dressing, he looked a King’s Ransom. With elegance marked by Good Taste and Discretion. And as for his socks — well, they couldn’t be faulted. Sir Samuel truly was Fashion incarnate. I saw him attired thus — Where, you may ask? The Ambassador’s Ball, or the Queen Mother’s Masque? Or trying his talent with bridle and bit? While sipping champagne on a fifty-foot boat? And light-years from dowager heiresses’ daughters. I saw him performing the duties of Sentry. And answering “Where is the Restroom?” of matrons. Was, in fact, what this fellow had turned out to be. But never once did he abandon his dress. This man’s got a job that couldn’t be sloppier! But wondered, where got he the money for meals? 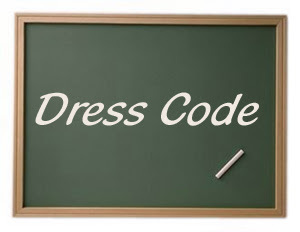 How it comes that you dress so uncommonly well? The truth is, by God, I get satisfaction! A burden, on one hand, and yet a reward. Sir Samuel showed there are wheels within wheels. 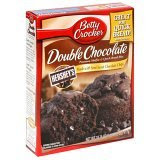 Betty Crocker Double Chocolate Premium Muffin Mix. Made with Hershey’s semi sweet chocolate chips. Below that is this really yummy looking picture of a chocolate chip muffin surrounded by chocolate chips. Note: This is not a food blog-entry. For the world of me, I do not know how to make chocolate chip cake from scratch. That said, I can, however, make a chocolate chip cake from Betty Crocker’s Muffin Mix. Trust me, I don’t even need to see the directions. And I can make it using a microwave (when the directions on the pack ask us to use an oven) since I do not YET own an oven (my request for an electric oven is ‘Pending Approval’ from you-know-who). Now, according to Betty Crocker, this is a Muffin mix. But then, the always-so-busy me does not have the patience to go shopping for muffin cups, ergo – this is now a cake mix. Poured the entire thing into a glass dish and chucked it into the microwave – voila, 30 minutes and yummy-smell-fills-house later, chocolate chip cake is ready to eat. Need I say that it tastes absolutely divine? It tastes absolutely divine. And no one is welcome to my house till the cake is over. I’m not kidding.